Whether you’re a fan looking for custom volleyball jerseys to wear to your team’s matches, or an amateur athlete looking to spice up your whole team’s game, Sublimated Sports Uniforms is the place to go. 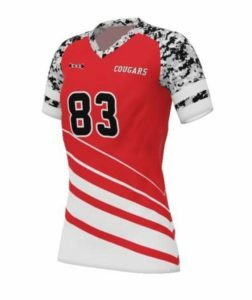 We manufacture the most comfortable sublimated volleyball uniforms at the best price and we offer the best quality out there too! 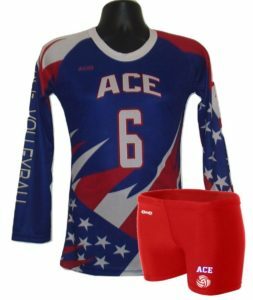 If you have an order for custom volleyball uniforms, you can place your trust with us and rest assured that everything will be taken care of in a professional and efficient way. 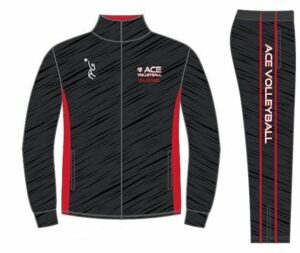 If you’re part of an amateur volleyball team, or the team leader, or even the coach, you’ve more likely than not thought about how cool it would be to have matching uniforms with the rest of your teammates. Matching sublimated volleyball jerseys will make the whole team stand out on the court and look like professionals, even if you’re playing at an amateur level! 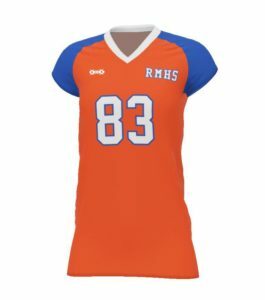 Maybe you already have the uniforms, but they’re old and not that up-to-date and modern anymore… All that can be solved by placing an order with us. 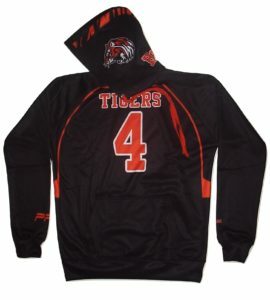 We’ll turn your artwork or design into a masterpiece and place it on the uniforms using a cutting-edge technique called dye-sublimation. If, however, you’re a very dedicated fan, why not purchase custom volleyball jerseys for you and all your equally as enthusiastic friends? It would make the perfect gift and they would love you for it. You could all wear a jersey that has each person’s name on it and with matching logos and design to the next match you attend. It’s the best way to give moral support to the players who give everything they have out on the court! Our sublimated volleyball uniforms look stylish and professional. No matter what design you go with (you have complete artistic freedom — you can pick out the logo, the color, and how the elements will be displayed on the uniform), your uniform will still look as amazing after hundreds of washes as it did on the first day. The colors will remain vivid and won’t smudge. All the lines will still be well-defined even after your uniform has been worn to hundreds of matches! Because we know how important it is to feel comfortable while playing volleyball, our uniforms are lightweight and allow your skin to breathe easily. Sweat won’t come in the way of giving your best on the court while looking super fashionable. 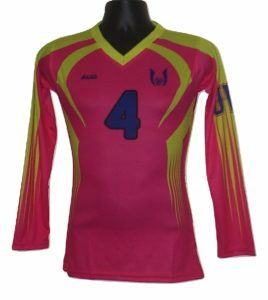 Getting a sublimated volleyball uniform is a great investment for amateur volleyball teams. It makes every player stand out while showing off their skills and giving their best and makes the team look more professional and intimidating. Just imagine your opponents’ faces when they see your team looking all stylish and ready to beat them in the game! Looks alone can have a big influence on how well the team performs, and custom volleyball uniforms are a fireproof way of boosting the team’s confidence. As always, because our goal is to make our clients as satisfied as possible, we have a customer support team ready to answer all your most pressing questions. 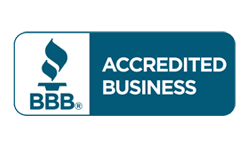 Simply call the Arizona number (602) 326-4290 and get your answers. We work Monday through Friday, from 7 am to 5:30 pm Mountain Standard Time (MST) and are eager to help you in whatever you might need.